A lot has happened in the half-century that family-owned and -operated bohemian staple Infinity’s End has been serving Charlotte’s counterculture. From moving locations to keep up with Charlotte’s ever-changing tides to dodging an overzealous driver who crashed through the South Boulevard location’s storefront in July 2018, the Pietras family — beginning with founders Frank Pietras Sr., his wife Patty and son John Pietras Sr. — has seen it all since opening in 1969. Now the Pietrases and the extended Infinity’s End family will be throwing a 50th birthday party on — when else? — April 20, to coincide with the company’s annual 4/20 Festival. So how did we get here? Many people remember the former East Independence Boulevard location in the now-demolished Coliseum Shopping Center as the first Infinity’s End, but the Pietras family originally opened up shop on South Boulevard and Archdale Drive. After watching all the traffic — and therefore potential business — move toward East Independence Boulevard in the ’70s, the family followed that lead and moved the shop there in 1974. The original location held on for about a year but eventually closed. Not to worry, however, the Infinity’s End presence has since expanded, despite competition opening up around the city seemingly every day. The three current locations include stores on South, University City and East Independence boulevards, showing that even if they do close a location, it’s a safe bet they’ll be back. Not only that, but the team is now looking to expand further with a location near Uptown, but more on that later. Currently, the business is owned and run by Frank’s son, Frank Jr.; his wife, Becky Pietras; his nephew, John Jr.; and Chris Edwards, whose mother-in-law married John Sr. Did you catch all that? All in all, what’s important is that Infinity’s End has remained a multi-generational, family-run business that has established itself as a staple of bohemian lifestyle and counterculture retail. It began as Charlotte’s first head shop, and for the first few decades, there was barely anyone around to compete with. Nowadays, head shops, tobacco shops and newly arrived vape shops have spread across town and settled like a haze, which would normally pose a threat to a long-standing mom-and-pop shop like Infinity’s End. Instead, the owners have embraced the competition by adapting to the ever-changing trends the store’s customers fall into. “We’ve always looked at competition as bringing more awareness to our stores and to the culture,” Becky explained. The counterculture and bohemian lifestyles to which the store caters has not always been acceptable to mainstream culture, especially in a financial and banking-centric city such as Charlotte. It’s important to remember that before the city rebranded as the “New South,” it was just the South. 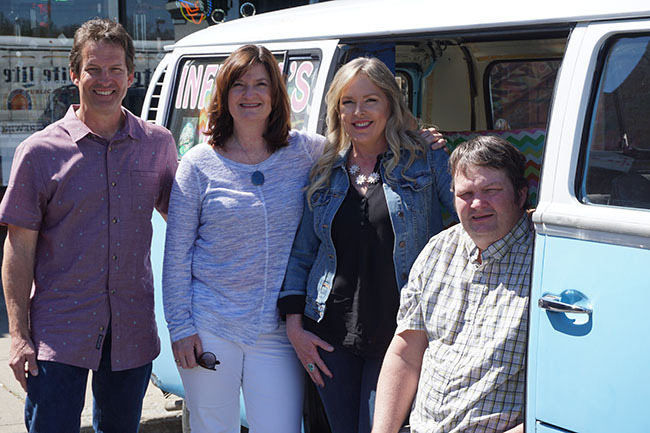 The Infinity’s End owners believe that the more head shops and stores like theirs that open up and become an everyday part of the city’s culture, the better it is for them. With that ever-growing competition, however, it’s important that the inventory stays fresh and up-to-date with emerging trends. That’s the job of Edwards, who’s in charge of purchasing retail for the store. With her help, for example, Infinity’s End has long been at the forefront of the burgeoning local disc golf scene. 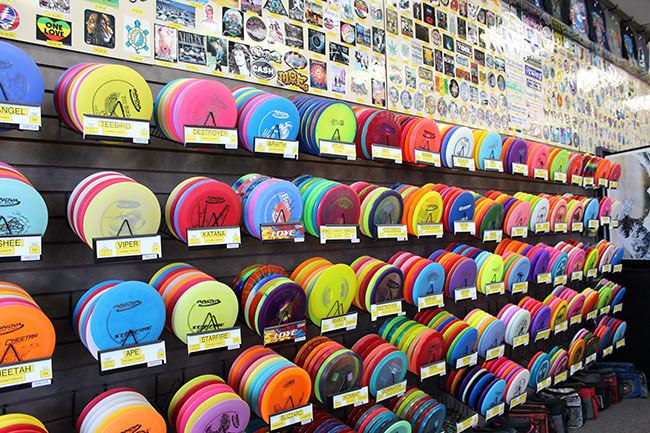 The store has sold equipment and a large variety of discs to serve the disc golf community since before the area became a mecca for the sport. It’s another example of how Edwards and the store’s management has remained ahead of its time rather than falling into old habits. Skateboarding equipment, smoke shop items, metaphysical crystals and even cuckoo clocks have found their way into Infinity’s End’s inventory. These seemingly random items don’t just find themselves in the store. Buyers like Edwards go through an impertinent decision-making process, sometimes traveling extensively to research products that will potentially showcased in the store. For Edwards, the counterculture lifestyle has always been a part of her passions and interests, so when she came into the family and began working for Infinity’s End, it was a perfect match. That passion extends to the employees who help the customers in the stores every day. Upon walking in, customers are greeted with happy, well-paid employees ready to help. Queen City Nerve editor-in-chief Ryan Pitkin delivers to the South Boulevard location every two weeks, and he sometimes makes it a challenge to see if he can slip in and out without getting so much as a greeting from the store’s employees. He has been unsuccessful thus far. Fortunately, however, the employees are careful not to aggressively upsell or pressure customers into buying what they don’t want. Edwards remembered a Yelp review the store received recently, in which a customer was happy that they weren’t bombarded with sales tactics or urged by employees to purchase outside of their budgets. 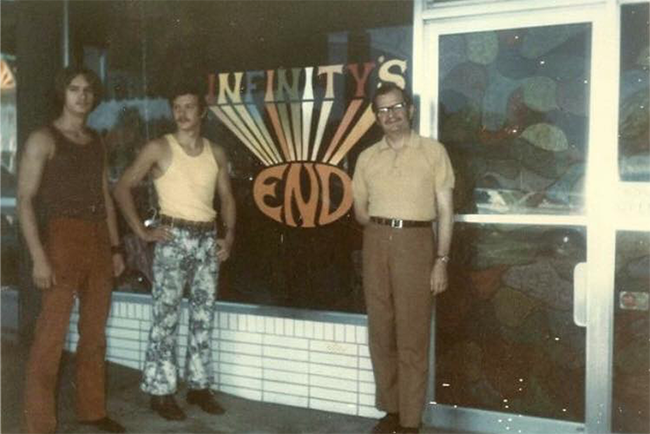 Over the past 50 years, the loyal customers that Infinity’s End served have brought in generations of other customers — parents bring in their children, who in turn, bring in their children. 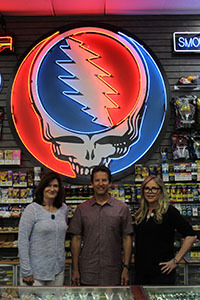 It’s not just a head shop, but a family-friendly retail store, which has helped it thrive as a well-rounded business. Before people can get to the head shop in the back of the stores, they pass by jewelry, clothing, gifts, crystals, disc golf equipment and much more. That was no accident by the owners. They certainly don’t shy away from the head shop label, however. After all, the store’s annual 4/20 festival is still going strong, and this year it just happens to fall on its 50th anniversary celebration. Hectorina, The Bloodworth Project and Hawthorne round out the 2019 musical lineup for the afternoon at the South Boulevard location, with on-site glass blowing and a raffle at 4:20 p.m. A donation to the SPCA gets complimentary beverages and local artists will be selling their wares. The Christmas-in-April 4/20 party is also a chance for the family to open the doors to those who have missed out for the last half-century. The party may be in South End, but the Infinity’s End family will be waiting with open arms (and 20% off) at all three locations. By next year, the crew might be celebrating 4/20 at four locations. According to Frank Jr. and Becky, ownership is looking for options to establish another Infinity’s End location closer to Uptown that will open in the next year or two. The growth of the family chain owes itself not only to the hard work of Edwards, Frank Jr., Becky and John Jr., but also to Charlotte and the hard work of Infinity’s End employees. It’s good to see that all the success hasn’t gone to their heads.